There’s a lot to be optimistic about in the Healthcare sector as 2 analysts just weighed in on Quidel Corp (QDEL – Research Report) and Biohaven Pharmaceutical Holding Co Ltd (BHVN – Research Report) with bullish sentiments. 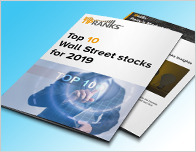 In a report released today, John Hsu from Raymond James maintained a Buy rating on Quidel Corp, with a price target of $74. The company’s shares opened today at $64.27. Hsu has an average return of 11.6% when recommending Quidel Corp. 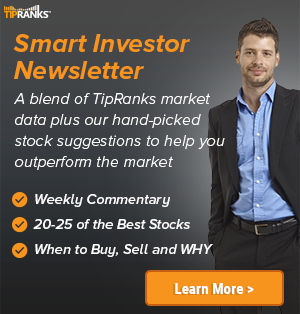 According to TipRanks.com, Hsu is ranked #1326 out of 5182 analysts. 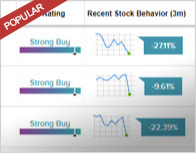 Quidel Corp has an analyst consensus of Moderate Buy, with a price target consensus of $70.67. Canaccord Genuity analyst Sumant Kulkarni maintained a Buy rating on Biohaven Pharmaceutical Holding Co Ltd today and set a price target of $89. The company’s shares opened today at $59.06, close to its 52-week high of $59.89. 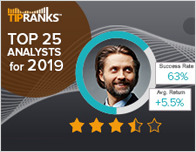 According to TipRanks.com, Kulkarni is a 3-star analyst with an average return of 2.6% and a 44.1% success rate. Kulkarni covers the Healthcare sector, focusing on stocks such as Alder Biopharmaceuticals, Voyager Therapeutics Inc, and Bioxcel Therapeutics Inc.
Biohaven Pharmaceutical Holding Co Ltd has an analyst consensus of Moderate Buy, with a price target consensus of $65, which is a 10.1% upside from current levels. In a report issued on April 10, Needham also maintained a Buy rating on the stock with a $56 price target. John Hsu, NASDAQ:QDEL, QDEL, Quidel Corp.